Reiki is an amazingly simple technique to learn. 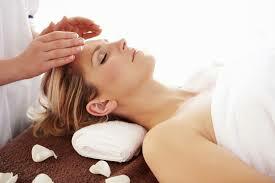 The ability to use Reiki is not taught in the usual sense, but is transferred to the student during a Reiki class. This ability is passed on during an ‘attunement’ given by a Reiki master which opens the crown, heart and palm chakras in a unique way and allows the student to tap into an unlimited supply of ‘life force energy’ to improve one’s health, or the health of others, and enhance the quality of life. Level I is predominantly concerning self-healing and giving treatments to family and friends. The attunements given at this level clear the auric bodies, and the body’s meridians and energy centres; to bring balance and harmony into everyday life. After a 21 day cleansing period, you are encouraged to perform Reiki on friends, family, animals, and others for an energy exchange / trade or accept donations for performing Reiki treatments as you should receive something for what you give to keep the balance. Along with teaching Traditional Usui Reiki, we have been guided to teach a number of metaphysical subjects at Level One to include Quantum Physics, Epi-genetics, Heart-Based Science to assist the student gain a deeper understanding of what it is we are actually healing. In other words, we explore the Quantum Realm of how healing takes place and what we have to DO in order to transcend (go beyond) dis-ease in the body to restore balance and wholeness. We also explore 'Consciousness' and how best we can manage our energy as we move through these changing times and the Golden Age of Aquarius. After completing this level you will be able to set up an environment conducive to Reiki and feel competent in treating yourself, friends and family and will be proficient to perform self-cleansing and protection techniques. For those interested in working on a deeper and more professional level; working within a Centre, Clinic, or from home and earn an income for your services, Level II will be the next step for you. What is the cost of the Reiki Level I Course and what is included? The cost is $350.00 and you will receive a Certificate of the First Degree of the Usui System of Natural Healing on completion of the workshop together with a manual and handouts. Ongoing support is included with all our courses and workshops, including scheduled Reiki share evenings on the Gold Coast. What are the prerequisites of the Reiki Level I Course? What is the duration of the Reiki Level I Course? 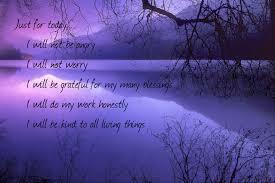 Usui Reiki Level 1 is held over ONE DAY from 8:45am to 6:30 - 6.45 pm. You will be required to read approx. one hour of pre-course material which will be forwarded by email before attending the class. When is the next Reiki Level I Course? How do I book a Reiki Level I Course? Once confirmed, to secure a place on this course we require a deposit of $200.00 to be paid at time of booking, or payment in full if applicable. Balances are to be paid 14 days prior to course start date.